Please share, shop, connect and/or donate to keep these resources free! Catheter care seems scary. That’s because students generally aren’t familiar with catheters, because they aren’t a part of their daily lives. But, as a CNA, catheter care simply involves cleaning the exposed part of the catheter, the skin around it and making sure the catheter tubing and bag are positioned properly. This is a cleaning skill, not a technical skill. CNAs don’t put catheters in or take them out. So, how do we know what we are supposed to do with catheters? Read the care plan! See that little red button above the video? That is the care plan for the state exam. Click on it. Go ahead, I’ll wait. You are graded on reading and following the care plan – it is a big part of the state exam! 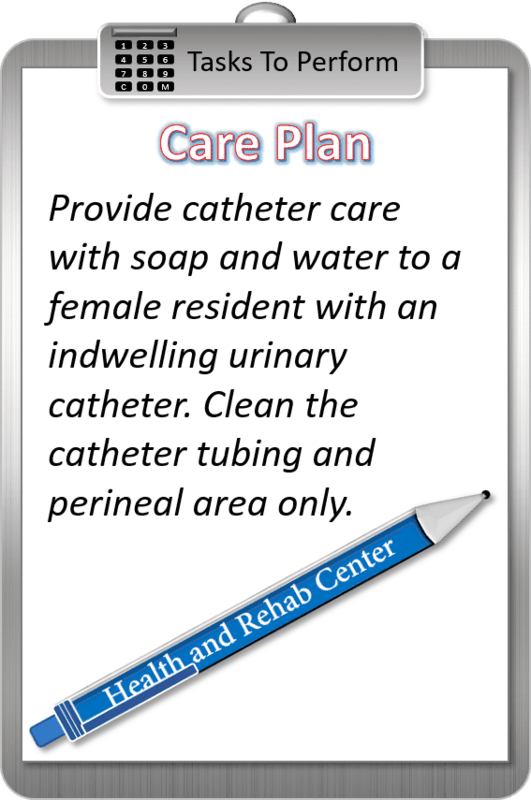 This care plan only instructs us to clean the catheter tubing and perineal area. So, as long as you know the different principles involved in this skill (the opening, barrier rules, glove rules, washing rules, privacy blanket rules, scoot and roll rules, basin cleaning rules and the closing), you will find this skill is easy! Since you – as a CNA – can’t decide what the patient needs, your job is to read and follow the care plan. Always read and follow the care plan! 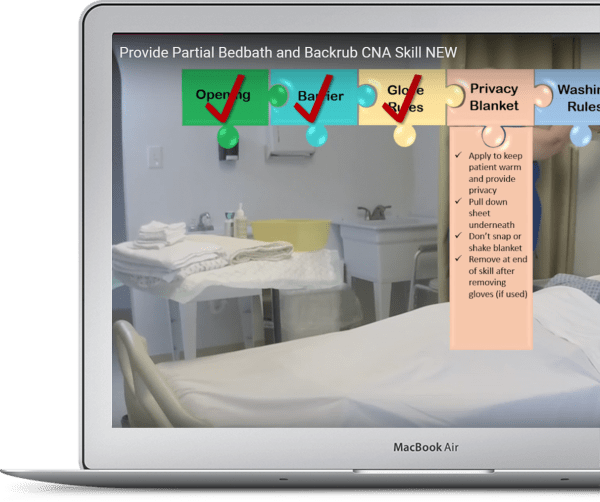 This video shows this skill demonstrated according to the specific testing care plan used by Prometric for the exam. Why stop at just a video? I have much more to show you! Watching the video above will give you a general idea of how the skills should be done…but it won’t give you all the background info that you will need to pass the test. Lucky for you…we have a program for that! It’s all online and completely FREE! *With purchase of skills book ($35.00) or $29.99 if course is purchased separately. Click here to purchase. Simply click “Enroll now” and enter your email and password…and you are in! Imagine…going to your CNA state exam with total confidence! You can do it…we can help! This course helped me pass the state test in Florida. Thank you 4YourCNA! Thank God I found this course before I tested! There was so much I didn't know about that I probably would have failed if it weren't for this course. 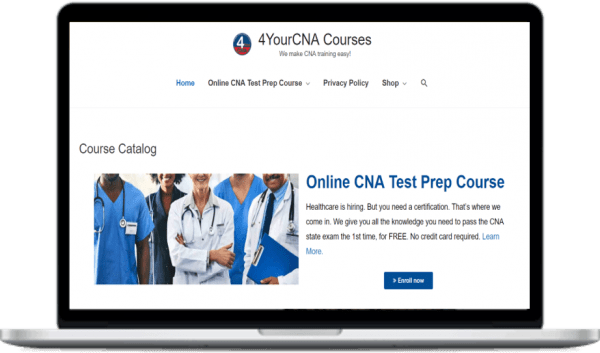 If you want to pass your CNA exam, take this course! This course is AWESOME! I can't believe it was FREE! It taught me way more than the class I took, and this teacher actually answered my questions!